bCasino is one of the newest kids on the block, having only launched in Spring 2018. It’s also quickly become a big deal on the UK online gambling scene. bCasino is owned and operated by a British-based group called GS Technology Limited and the casino is very specifically aimed at Britons. Plenty of new online casinos open their virtual doors and hit the ground running. bCasino, it seems, still has a little work to do before it can get a total 10 out of 10. However, it has plenty of redeeming qualities, like a very generous welcome offer and plenty of regular promos. We must say, that bCasino is a rather luxurious, London-set platform. It’s a rather premium product for the discerning player, too. Whether you’re a dab-hand at gambling and have spent years in land-based casinos play blackjack and roulette, or you’re a savvy online gamer, bCasino does offer something for everyone. We must say that this online casino platform effortlessly straddles contemporary and classic. It even runs off a slightly unusual platform, elbowing legendary software providers like Evolution Gaming and NetEnt for a very unique and highly different product. This is what makes bCasino exciting. What else do you need to know before you sign up at this online casino newbie? Read on and we’ll talk you through everything important and then some. You will need to enter a promo code when registering to take advantage of this welcome offer. All in all, this is an attractive welcome package. But we need to point a few things out, as always. Firstly, all 100 free spins may only be used on the Book of the Dead slot and are valued at £0.10 per spin. What’s more, the wagering requirements for your bonus cash as well as your deposit amount is 30x. Then, the wagering requirement for anything you win on your 100 free spins is 25x playthrough. As per many casinos, card and table games don’t count towards playthrough requirement and many slots only count 10%. Unfortunately, we do have to make mention of a couple of other hitches. Firstly, to receive any bonus after your first welcome package, you need to have a balance less than £1 and no withdrawals pending. So, make a point of ensuring your winnings are n the way to the bank or even play down the balance before trying to grab the second and third parts of the bonus. What’s more, the welcome bonus expires after 7 days and there are plenty of different bets you just can’t make in clearing your bonus. For example, betting anything more than £5 per spin on a slot. Yes, this is a very generous welcome bonus offer, but the t’s and c’s may be a little harsh for some. So, read through everything very carefully before you take advantage of the offer. bCasino also has a luxurious VIP scheme for frequent players. As soon as you make your first bet, you’ll start earning comp points. Once they’ve built up, you can exchange your points for free spins, bonuses and prizes. Accumulating points also helps you climb up the bVIP ranks but to make it to the top, you’ll need to receive an invitation. Once you do, you can look forward to custom bonuses, a personal account manager, lower wagering requirements, better comp point conversions and invites to plenty of exclusive dos. One area where bCasino certainly doesn’t fall short is its many deposit and withdrawal options, including popular e-wallets like Skrill and Neteller. While the casino doesn’t yet have PayPal as an option, there are plenty of other handy methods for UK players. We have another gripe, though. bCasino just doesn’t clearly state their deposit and withdrawal policy. For instance, there is a maximum withdrawal amount of £5,000 a month, which isn’t going to sit well with high rollers, or those of us who just know the bit jackpot is within our reach. To be fair, the casino has said they’re looking at this policy and we hope they get it more in line with their competitors. The minimum deposit policy also isn’t totally clear. Generally, it seems, you can deposit as little as £10 for the more popular deposit methods, but for some it can be up to £30. To confuse matters further, bCasino also says it retains the right to impose certain limits that might vary over time and deposit method. We’re just not that sure what they mean by this. We mentioned in the beginning that you won’t find software developers like Microgaming and NetEnt and bCasino. That’s because they’ve overlooked the mainstream developers for a more, kind of indie, selection of games and slots. 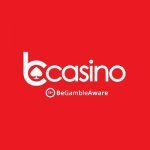 While the bigger developers create top-notch products, they do monopolise the casino world, so this whole unique approach from bCasino is actually a breath of fresh air. At this online casino, you will find slots from the likes of Play’n Go, Aristocrat, Nektan, NextGen and a couple of up and coming providers like ELK, Playson and Lighting Box. This isn’t to say that the slots are totally obscure, there are still plenty of popular titles to have fun with. What’s more bCasino has a great selection of table and card games. Roulette variants include Roulette with Track and European Roulette, while blackjack variations include Single Deck and Double Exposure. All the games offer excellent graphic and plenty of statistics to help you hone your skills. You’ll also find a few unique table games at bCasino, including Joker Poker, Money Wheel, Deuces Wild, Mini Baccarat, Kings or Better and Beat Me. So, there is certainly more than enough to keep layers busy for hours on end. Extreme Live Gaming brings players a superior live dealer experience at bCasino. The London-based company are hard at work challenging the likes of NetEnt and Evolution for space in the live casino market. Soon after they launched in 2014, Novomatic UK bought Extreme and together they launched an assortment of live roulette games, including plenty of elements from the famous Novomatic slots. The innovative live dealer games at bCasino include Ra Roulette, Lucky Lady’s Roulette and Sizzling Hot Roulette. But wait, there’s even more! Extreme also offer the Golden Ball Game Show Edition and Golden Ball Roulette, their most signature games. In fact, the Game Show edition has incredible production values and feels just like a full TV offering. There’s also live blackjack and roulette. bCasino doesn’t have a dedicated app, but you can play all the games through your tablet or smartphone’s browser. Remember, though, it’s still a new casino, so an app may appear in the future. Keep your eyes peeled! bCasino is licensed and regulated by the UK Gambling Commission, a widely regarded body considered to be one of the most diligent and strictest in the world. What that means is that you can play at bCasino with complete peace of mind that your banking and personal details are safe. As we’ve mentioned, this site is aimed purely at UK players, so unlike most other online casinos, there’s no need for dual licensing with another regulatory body. As for keeping your information under virtual lock and key, this casino uses industry standard encrypted connections. What’s more, the casino claims to regularly monitor its systems for any possible attach and vulnerabilities while always looking for new tools and ways to enhance the security of their services further. There’s only one thing that does worry us, if only a little. bCasino is owned and operated by GS Technology Limited. This company is listed with a UK address but there’s very little information about it online. This by no means suggests that bCasino isn’t trustworthy, there are plenty of excellent online casinos, but there are also plenty of players who want the assurance of a visible and reputable company behind their favourite online casino. bCasino has a live chat service that you’ll find on the right-hand of the screen. If your question isn’t really urgent, you can pop them an email. It’s really not that often that we have gripes with online casinos, new or otherwise. What frustrates us is that the points we’ve highlighted in our review are easy to solve. In fact, it wouldn’t take much effort at all to fix up the layout so that games are quicker and easier to find and to write up a more coherent set of details on the deposits and withdrawals. From a business point of view, it’s just hard for us to imagine any high rollers wanting to play at an online casino that caps the monthly withdrawal at £5,000. And, if we’re being really picky, it would be nice to see a few progressive jackpot slots. However, bCasino is a fantastic option for players who like frequent promos and different offerings. The daily reload bonuses and other boosts are a highly attractive option to players who do have the patience and time to play through the hefty wagering requirements. We’ve noticed that bCasino’s management team are hard at work engaging players on some of the popular gaming forums. This is a good thing. If they can just make a couple of tweaks and implement some of the feedback we’ve given as well as feedback on other sites, we have every reason to believe it could be on its way to a full 10 out of 10. We get that it’s still a new casino, though, so let’s give it time to iron out it’s teething problems. For the time being, sign up and play around to see if you like bCasino.